Music, Middle School and Web 2.0: Yes, Indeed, I am #1! Yes, Indeed, I am #1! So, it's been almost a year since my last post. Funny how life and work seem to take up all of my time. My weakest habit is number 1: I did play, and read, and tryout lots of stuff last summer. I am still playing and reading and trying out lots of stuff and still trying to figure out how to use all of this glorious stuff with my students. Really, though, I have set up a wiki for my students on Wikispaces which is working well as a central place for announcements and assignments. This has enabled me to move a lot of the assignments that were done on paper over to the wiki and enhance them with multimedia clips. I am joining the MusTech.net ME Blogger initiative and will try to discipline myself to do more posting and commenting in the future. If you are a music educator, come join the fun! 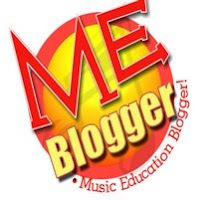 Thanks for becoming a ME Blogger! I look forward to reading your posts. Could you email me at mustech.net via the contact and give me your contact information again... I've seemed to have deleted it. I'm going to annouce your blog with the other ME bloggers in my next post.